Cicerone, Michelangelo – Ozone Jones Little Book of Knock-Knock Jokes! 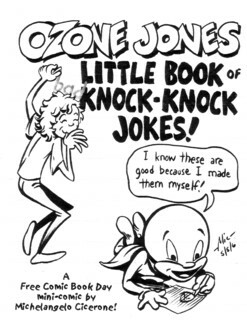 Ozone Jones Little Book of Knock-Knock Jokes! 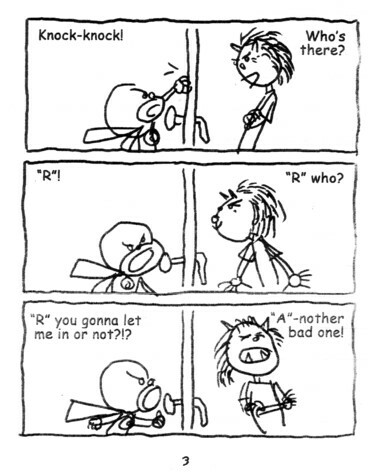 Posted on April 27, 2010, in Reviews and tagged Knock-Knock Jokes, Michelangelo Cicerone, Ozone Jones. Bookmark the permalink. Comments Off on Cicerone, Michelangelo – Ozone Jones Little Book of Knock-Knock Jokes!.